Modern London displays the whole gamut of building materials from traditional to high tech. But one material is the star representative of all that is best in the British building tradition: wood - unrivalled for beauty, authenticity and durability.London Gorgeous Asthma Safe, Pet-Friendly Products, Clean Green Planet, Child-Safe Products This is particularly true for wooden floors, where hard and soft woods - in blocks or boards or strips - provide a great variety of design possibilities. 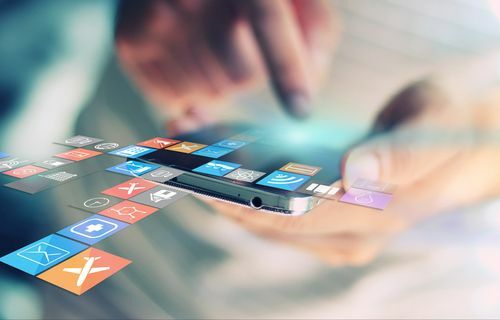 Whether coloured or clear-stained with the grain shining through, a polished and immaculate wooden floor is an asset to any property - at home or in commercial premises. Conversely, when subject to natural wear, nothing looks worse than a neglected and shabby floor - an affront to the potential beneath. Yet their transformation is a simple process. If your floor has become battered, tired, scratched or worn - or its potential charms are covered in carpets - choose floor sanding and sealing. 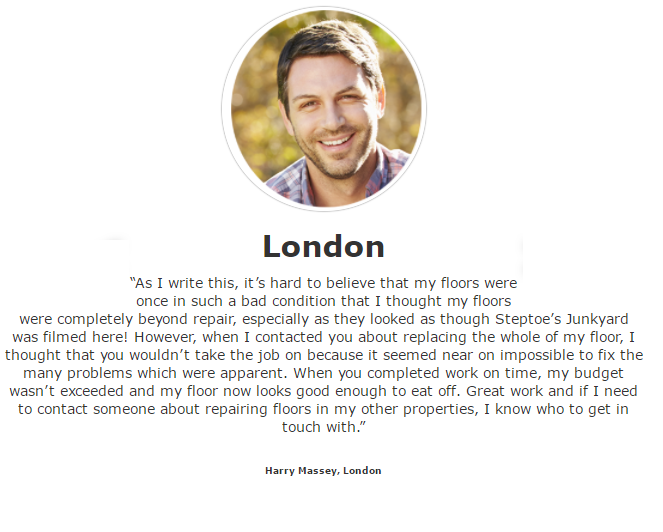 It transforms the saddest floor into a prime feature that will enhance your home or business. 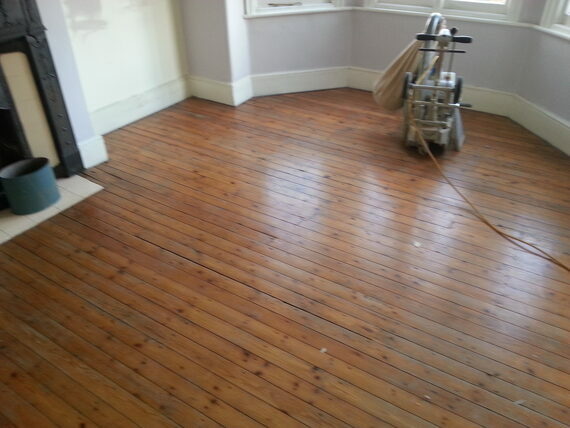 City Sanding Company work throughout Greater London and the Home Counties on all kinds of wooden floors. We use the latest equipment, are friendly and efficient - and give you the best advice. Wood floor sanding is a means of bringing back the beauty to wooden floors: after repairs, sanding machines remove old sealant (lacquer, oil or wax) to return the surface to smooth bare wood. 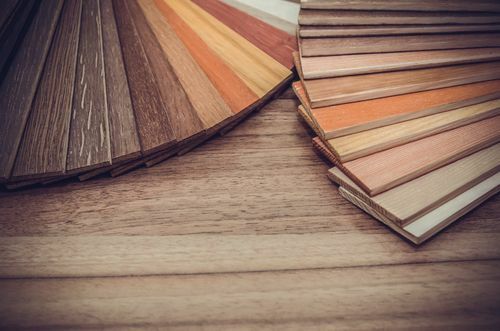 The standard sanding process uses paper of varying degrees of coarseness in three stages: a rough, medium and fine sand to strip, level, and smooth the boards to leave a high quality finish. 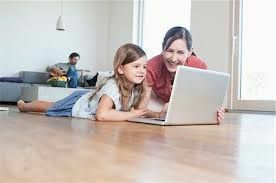 Sanding works on any kind of wooden floor, old or modern: soft or hardwood; herring bone, parquet, finger mosaics, engineered floors, wide oak boards and even cork.. 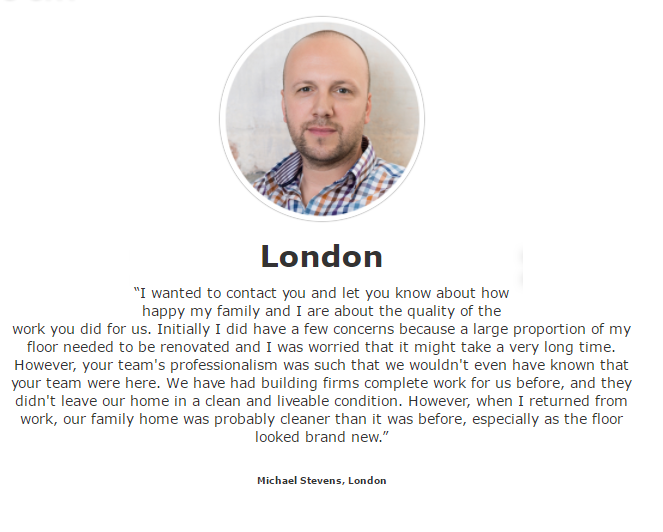 Please phone 020 3151 5990 or email us for a no obligation quote. It's undeniable that sanded pine floorboards have a timeless appeal. Whether you are restoring your existing wood flooring, or installing brand new wooden floor - a beautifully sanded and varnished wood floor can quickly become a focal point in your home. Whether your home is traditional or modern, there are some quick and easy ways that you can make your sanded wood floors look even more special. Although a sanded hardwood floor works well with neutral tones, there's nothing to say you have to stick with light, airy shades. Warm wooden tones work wonderfully with terracotta, red and moss green shades, and light wooden tones such as bamboo or ash look stunning set against deep blues or other jewel tones like emerald. 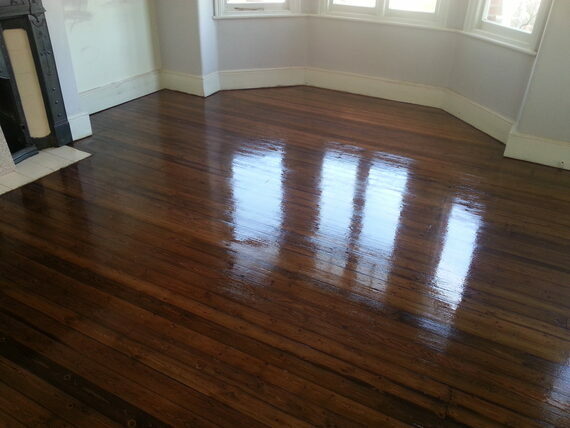 A sanded parquet floor has many benefits; they are easy to clean, dust-mite free, and they look effortlessly stylish. One occasional downside however is that they lack the warmth and softness of a carpet, particularly on a cold winter's day. One easy way to counteract that is to furnish your home with warm, thick sheepskin rug - or a series of chic runners in your living room. Although a dark wood floor brings a definite touch of glamour, it's important to remember to think about your lighting, to ensure the room doesn't become oppressively dark. Conversely, remember that very light wood floors may catch the light, and create an interesting lighting dynamic in the room. Just because you've chosen a particular shade for your flooring - it doesn't mean that you need to commit to matching that colour throughout the rest of your furniture. A mixture of light and medium tones will work. Try a light floor with a warm redwood chest or coffee table - or dark teak dining chairs for a striking contrast. 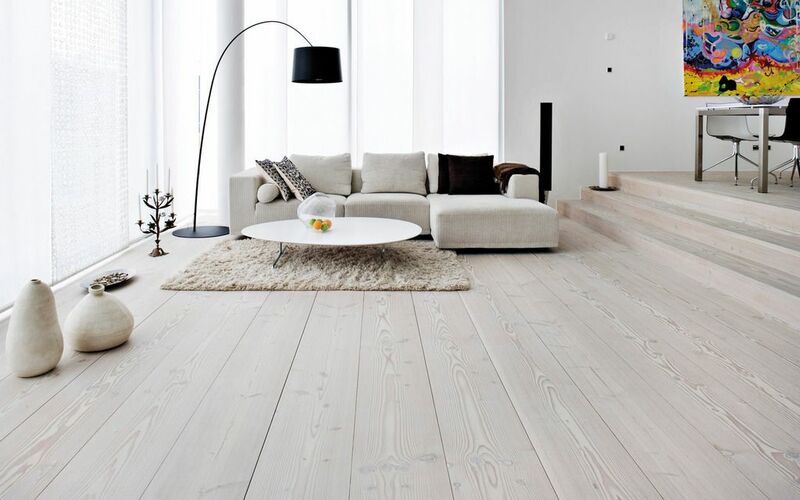 Refinishing your wooden floors is a popular option in open plan homes, although it is important to think about how the floor works as you transition between different living areas. When preparing your floor, avoid awkward dividers - instead think about how you can maximise your aesthetic appeal by choosing planks which can be installed so they flow seamlessly between areas. 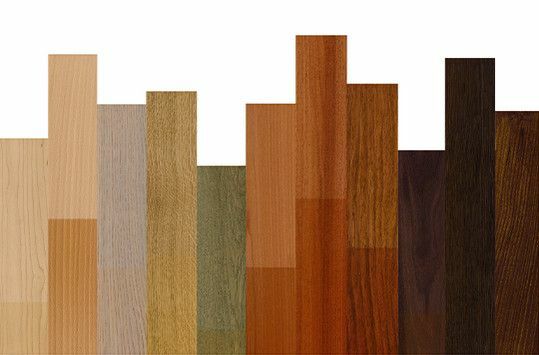 Contact us at The City Sanding Co. today to learn more about how you can improve your soft & hardwood wooden floors.